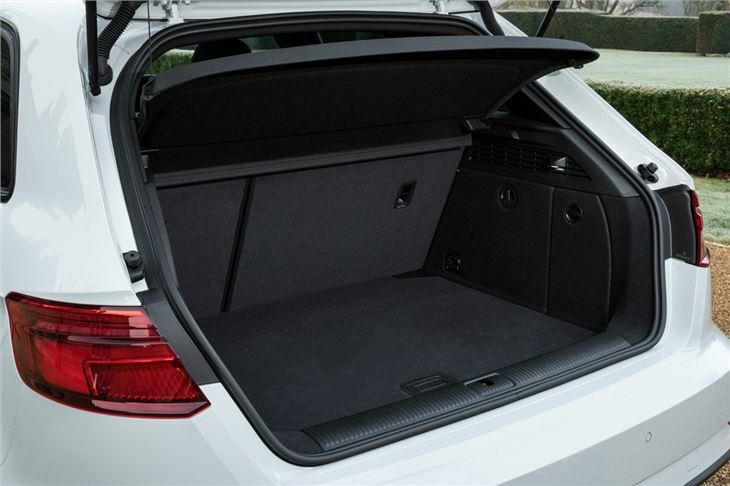 More practical version of the A3 has more passenger space and a larger boot. Wide choice of engines including impressive 1.4 TFSI. Well-equipped as standard. Not the most exciting of designs. Sportier models on large wheels return a hard ride. 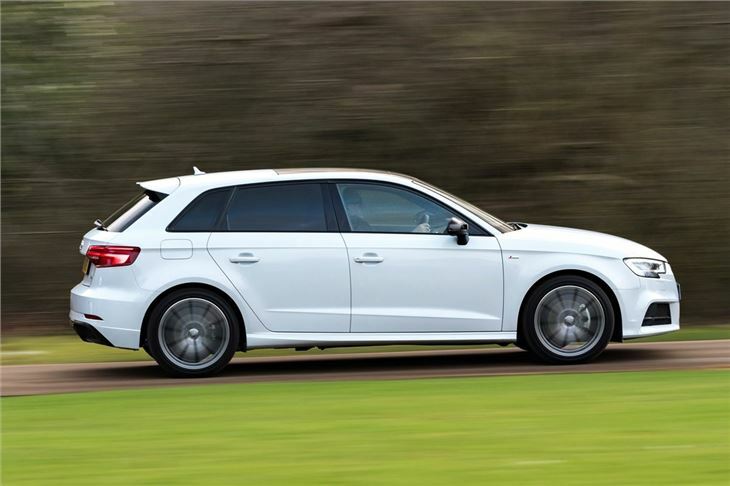 The Audi A3 Sportback is one of the best family hatchbacks. Good to drive, refined and extremely practical, the five-door version of the A3 is great for long and short hauls, while its efficient range of petrol and diesel engines make it surprisingly cheap to run. 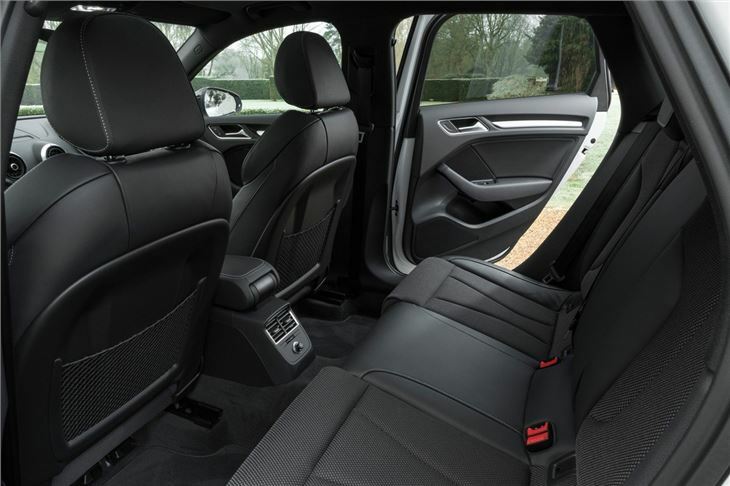 There is more than enough space for four large adults inside and the upmarket interior provides lots of comfort, with low levels of wind and road noise. Admittedly, the low speed ride can get bumpy on performance models, with sports suspension and larger wheels, but all A3s are good on the motorway and its sure footed nature gives the impression you're driving a much larger car . 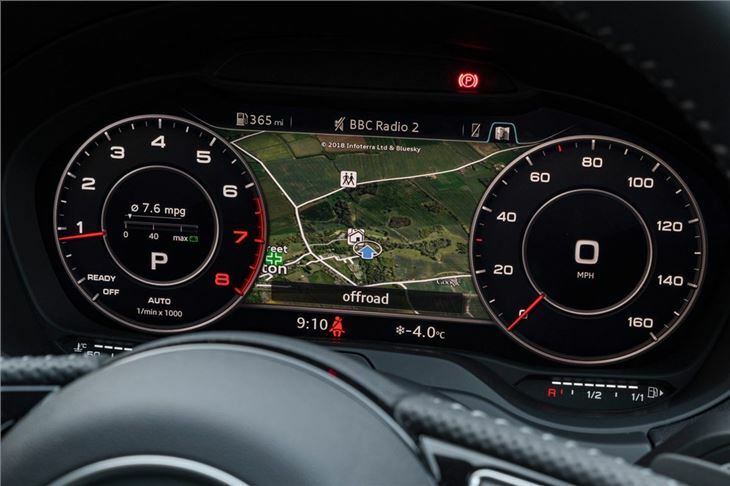 All A3 Sportback models get a seven-inch colour screen that pops out of the dashboard, while Audi's excellent MMI infotainment system, with a large control wheel located in the centre console, makes it easy to use the on-board infotainment system. 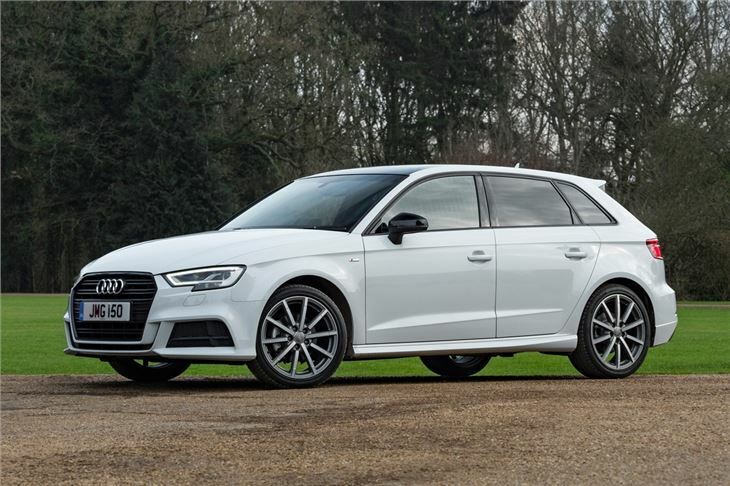 Audi updated the A3 Sportback in 2016 and significantly increased the level of equipment, with LED daytime running lights, cruise control, DAB and automatic xenon headlights all included as standard. The 110PS 1.0-litre TFSI petrol was also added to the range, while the 180PS 1.8-litre petrol was replaced with a 190PS 2.0-litre unit. The engine range is split between efficient petrol and diesel engines, which offer a good balance between power and economy. The 1.6 TDI has a claimed 74.3mpg, but feels lacking in power. The 150PS 2.0 TDI is a much better engine in comparison and will provide a claimed 70.6mpg. Both the petrols - 1.0 TFSI and 1.4 TFSI - will officially exceed 60mpg too, although it is the latter that feels best suited to the A3 with a full boot and four passengers. All models are good to drive, with lots of front-end grip and a well-balanced ride that lets you push it along with significant gusto. The steering does lack feel, but sportier versions - with sports suspension and larger wheels - will easily navigate twisty roads with minimal of fuss. 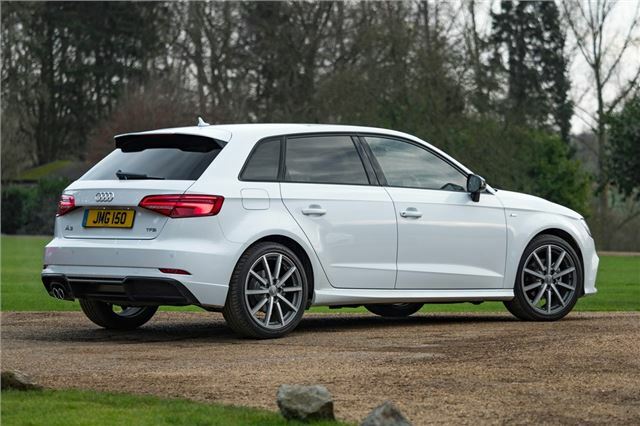 In our view the A3 Sportback is one of the best upmarketshatchbacks around. Admittedly, some will take issue with its nondescript styling, but even the A3's dull lines cannot dilute its outstanding build quality and rewarding drive. One of the best value for money proposition on the used market.